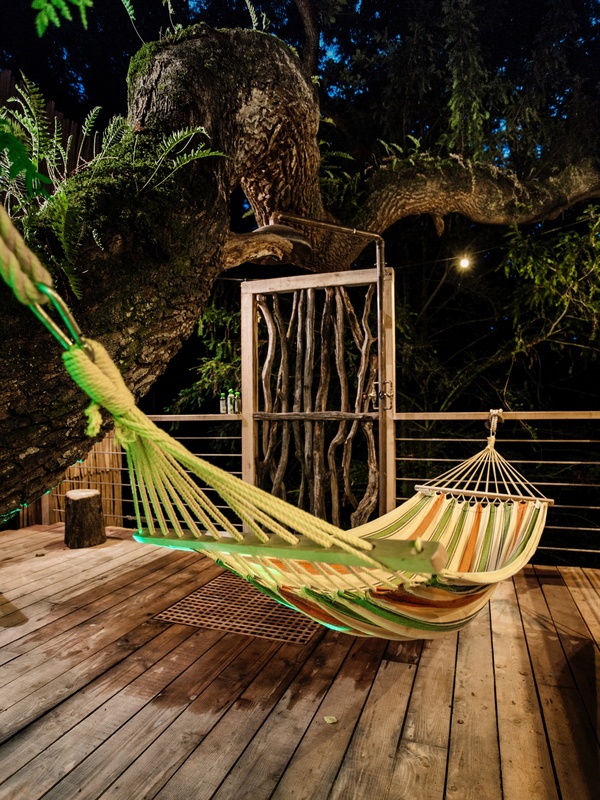 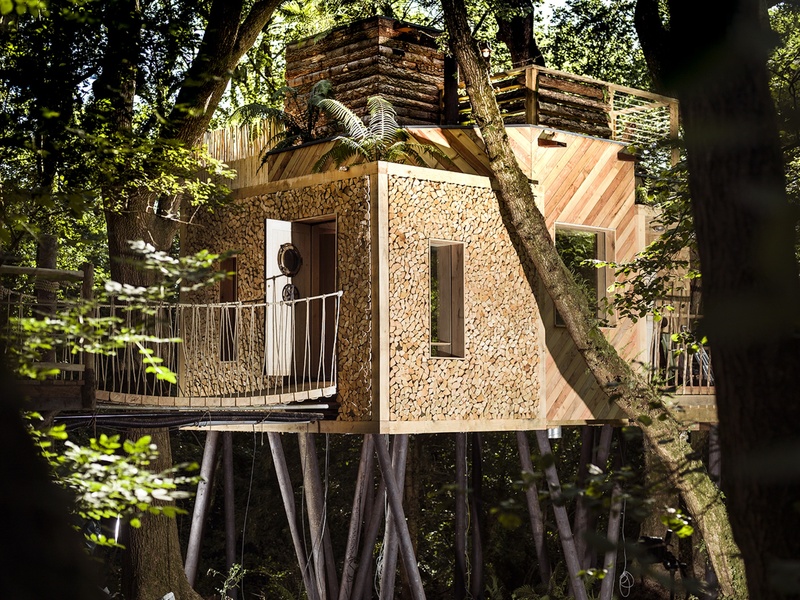 Did you dream of living in a treehouse as a child? 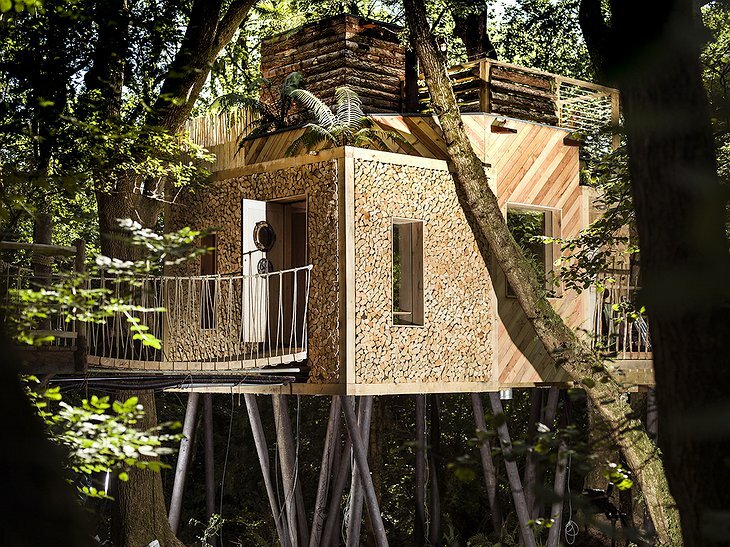 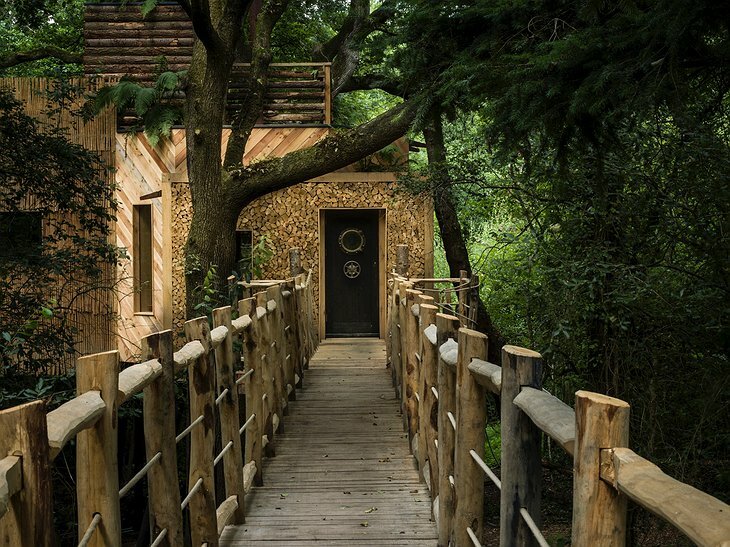 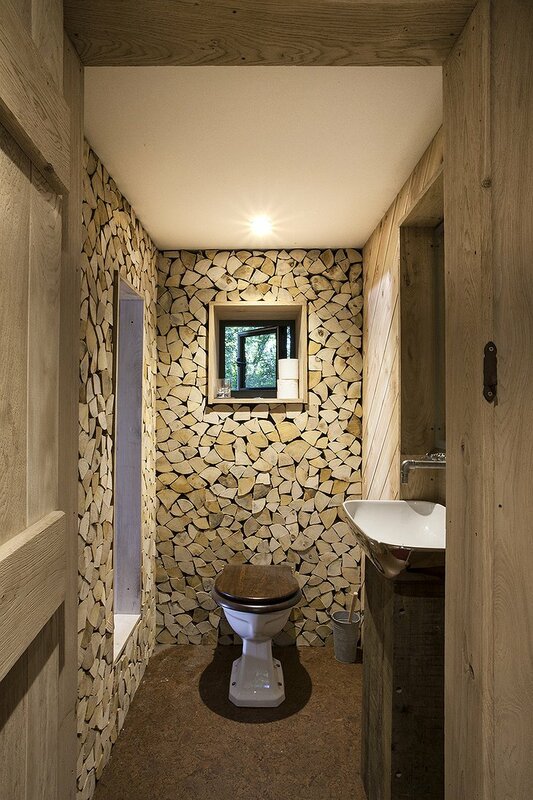 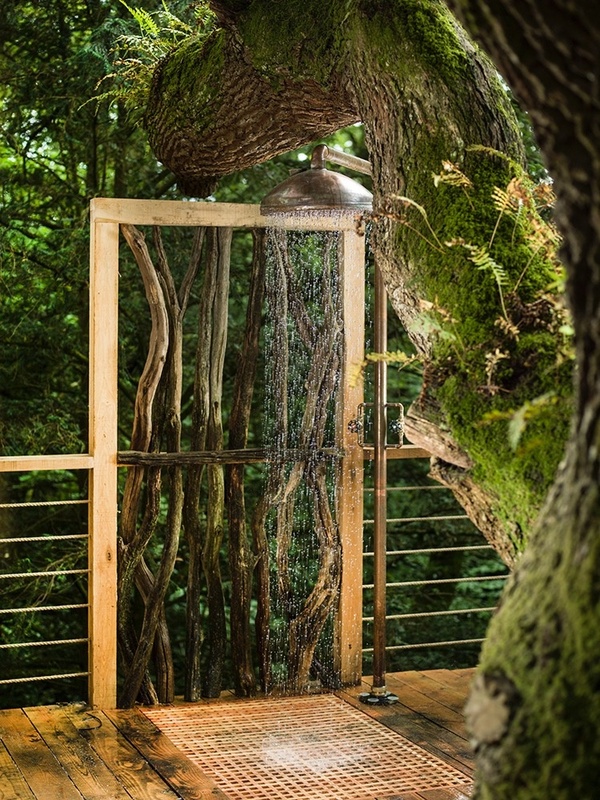 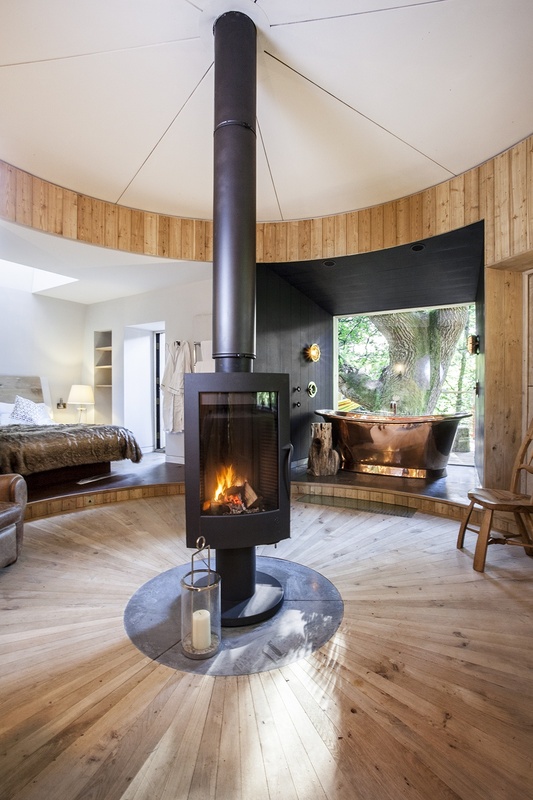 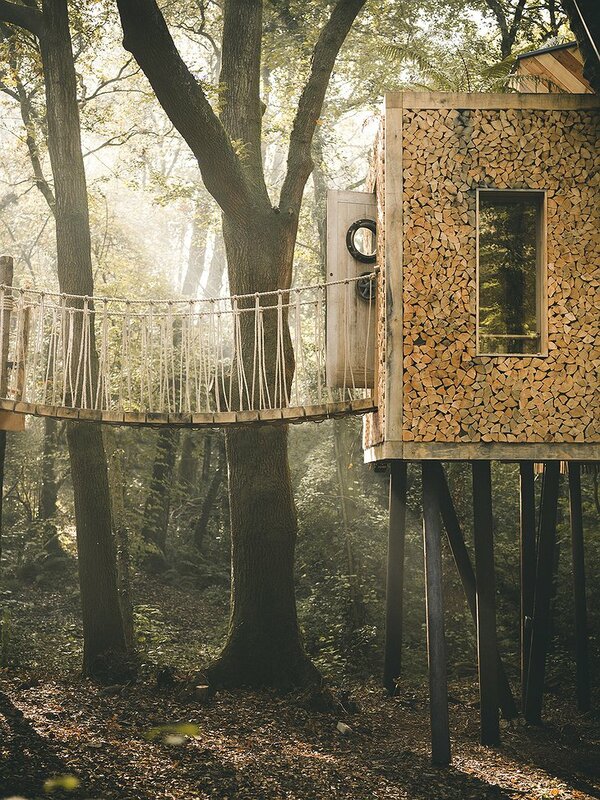 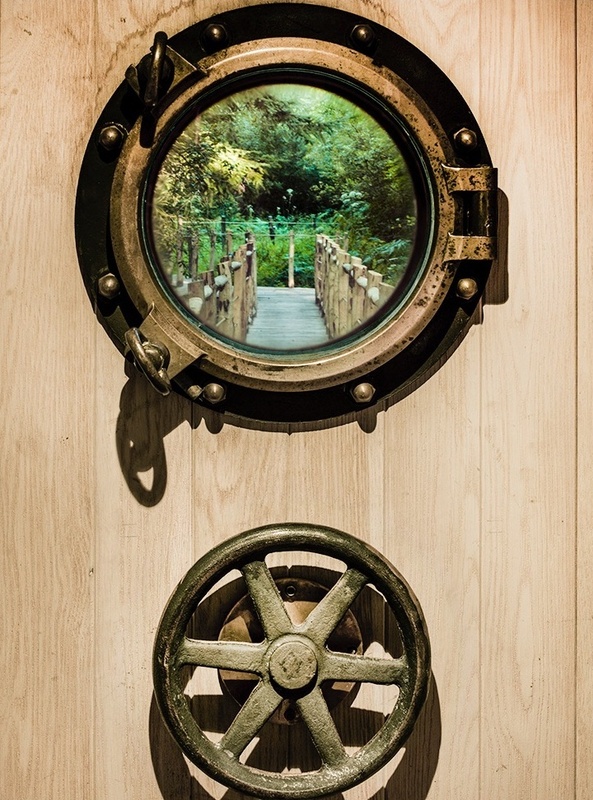 Well, the Woodman’s Treehouse in Dorset, UK, is exactly like that except a lot more fancy and designer-looking than your scraped-knee eight-year-old self had imagined. 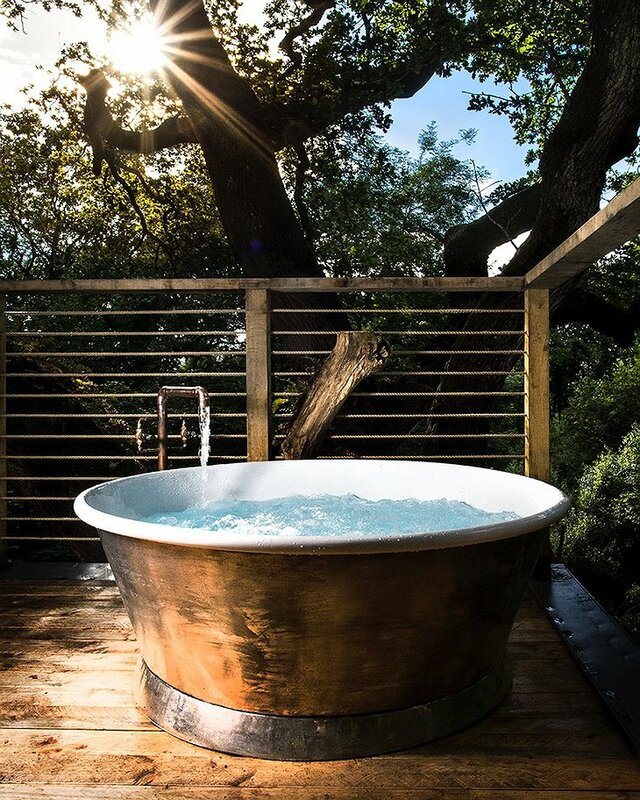 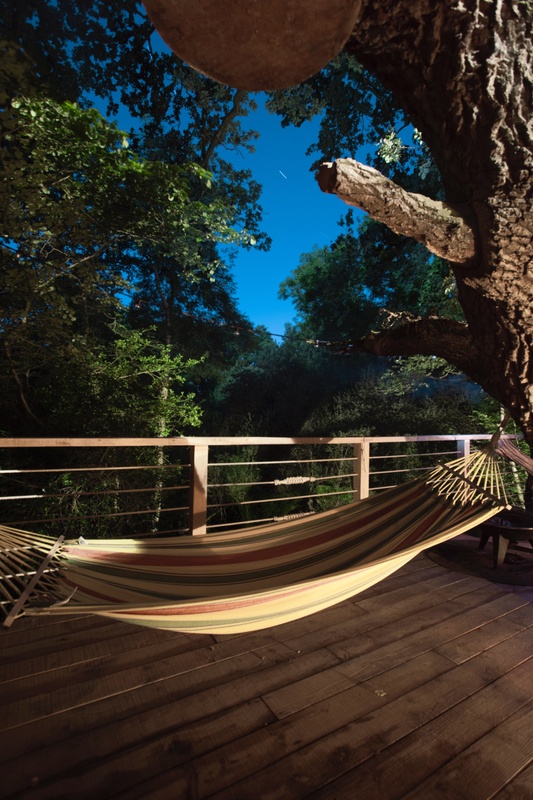 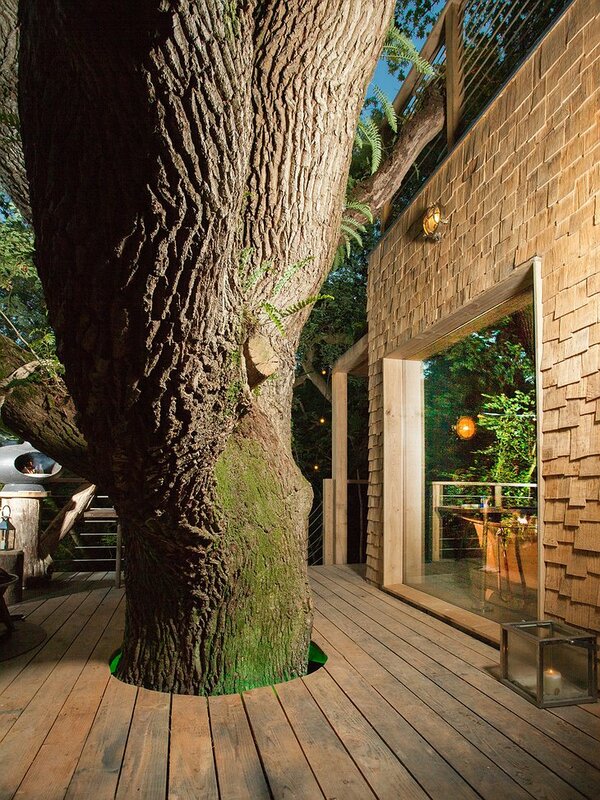 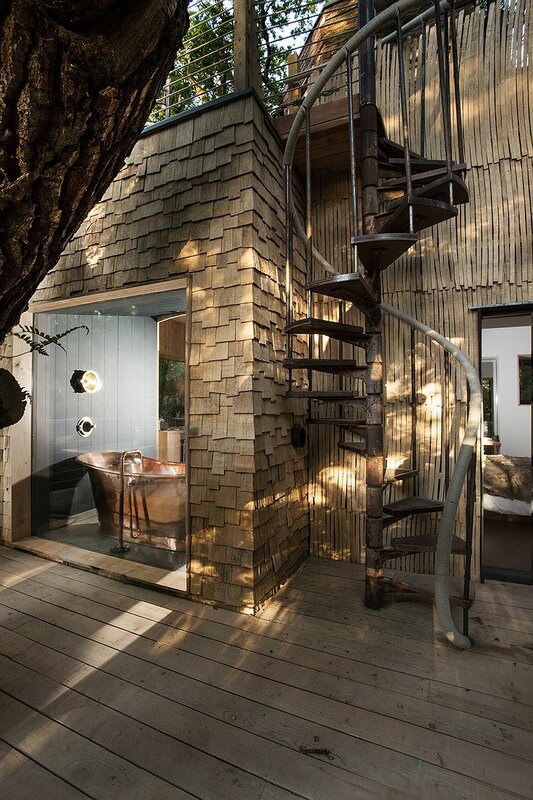 Set in the canopy of an old oak, this place is playful and luxurious at the same time. 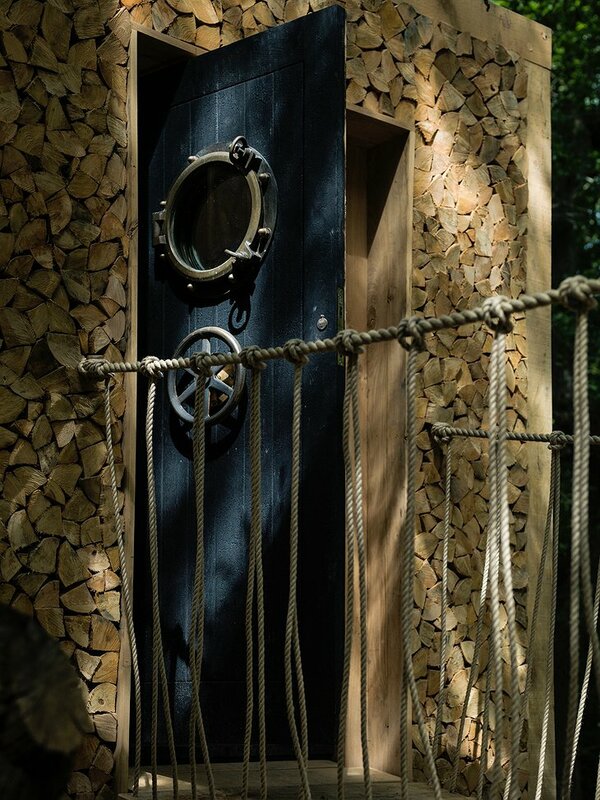 Made entirely out of wood and accessible only through a rope bridge, it definitely takes inspiration from the adventure story treehouses. 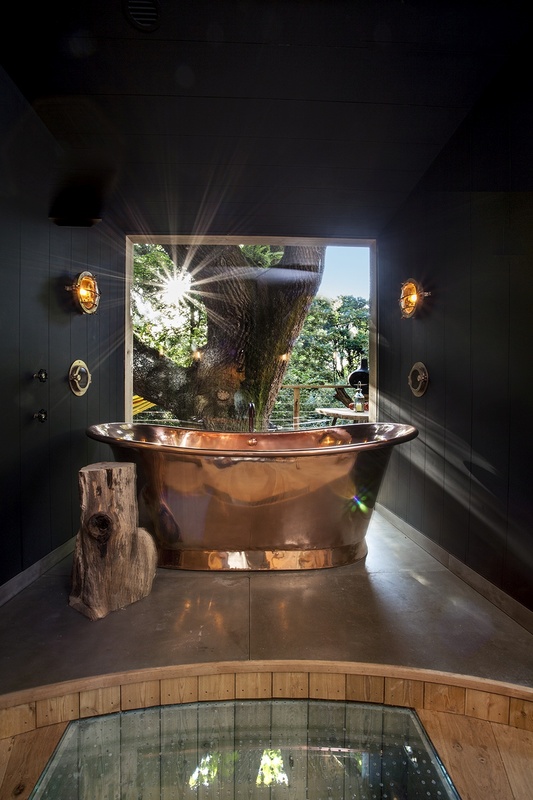 At the same time, it features such high-end elements as a copper hot tub on the upper deck or a rotating fireplace that turn the childhood dream into an adult’s playground. 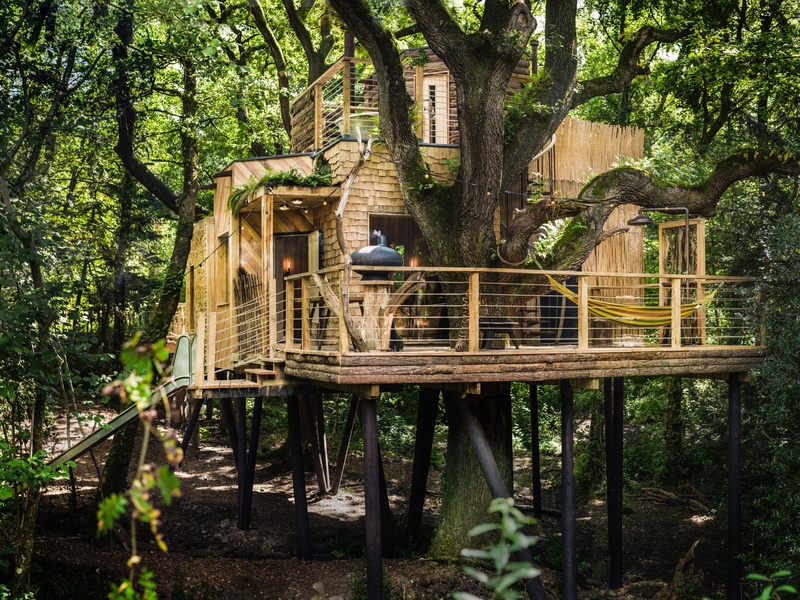 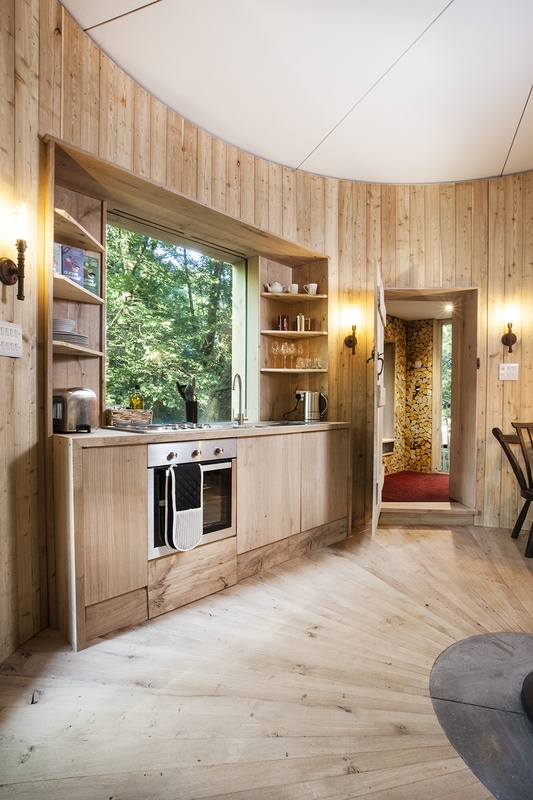 With its own well-equipped kitchen (plus a wood fired pizza oven, because why not), the Treehouse is self-sustained and makes for a great weekend break from the city life (it’s only three hour drive away from London). The activities are simple but delightful. 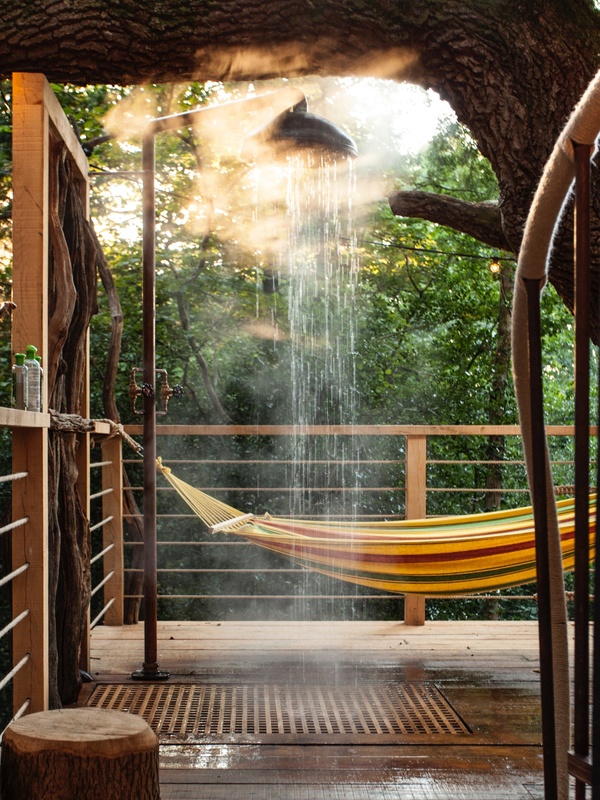 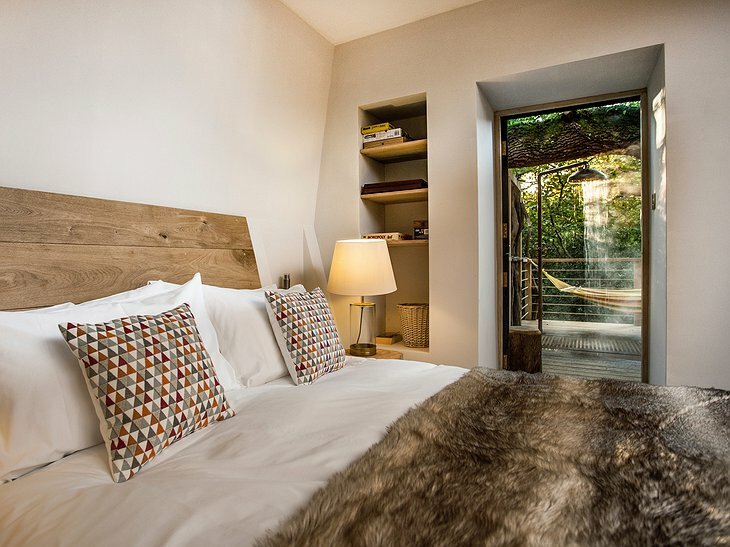 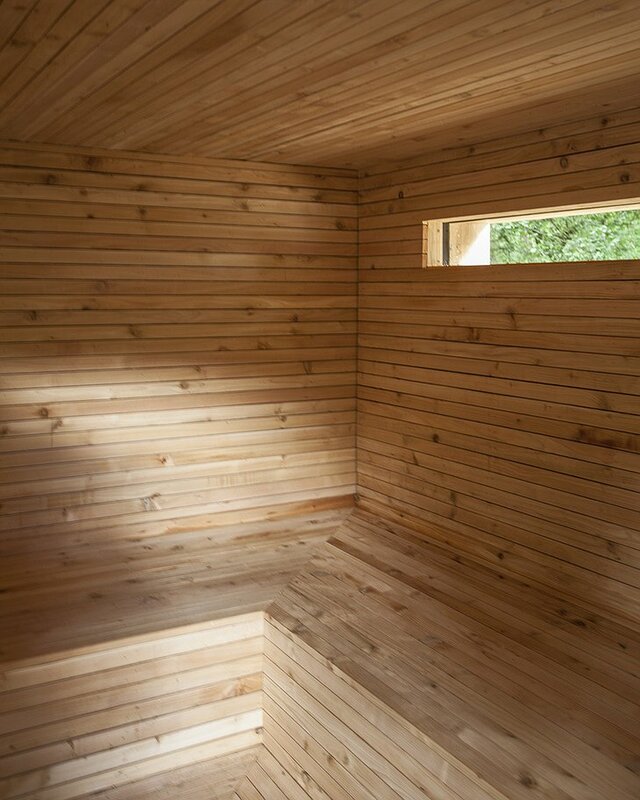 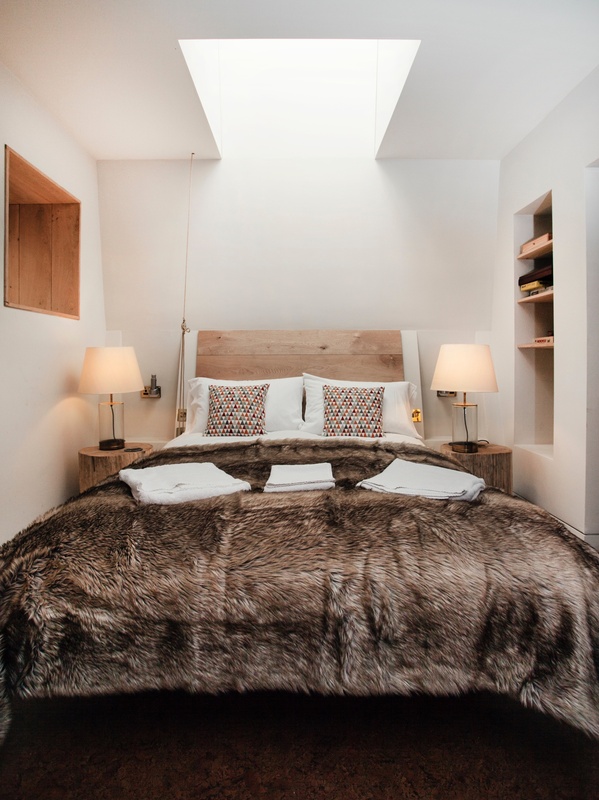 Staring at the blue sky through the skylight over your bed, swinging in a hammock on the deck, enjoying the outdoor hot shower or indulging in a treehouse sauna. 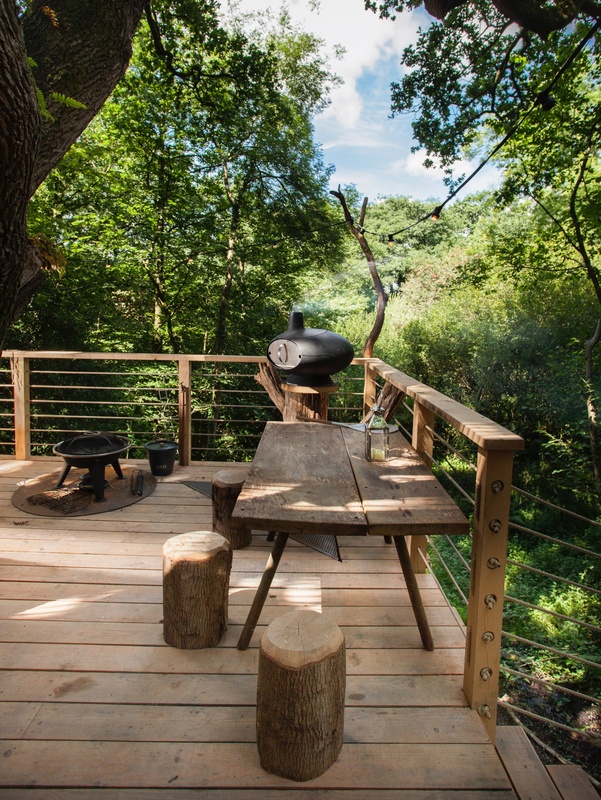 In case you are into something more active, try Guy Mallinson's Crafty Camping woodworking courses.